Ahh… this place brings back great memories of my years in Melbourne. If I need some quick reasonably good japanese bento, this would be the only place I frequent. 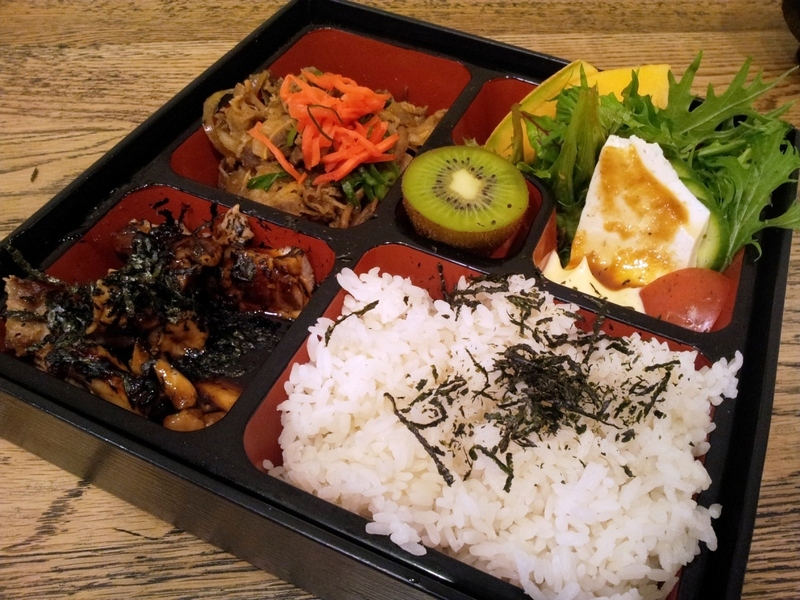 I love to take away the DonDon box and enjoy it in front of the State Library lawn on a good day. So, last trip back was no different. 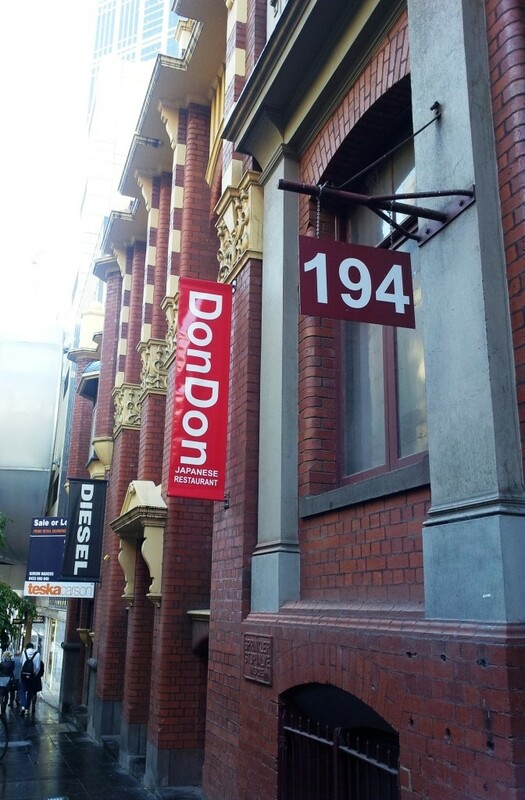 The minute I touched down in Melbourne, I was dying to visit Don Don. I was shocked when I saw the shop closed when I was walking towards it along Swanston Street. My heart dropped (sob sob…) and I reluctantly turn around. For some reason, I turned and looked down along Little Lonsdale and I saw this new big RED sign !!! I had hope… Have they moved? Is this the same DonDon? I quickly drag hub along and we finally made our way into a much bigger shop (compared to their previous shop). After a quick scan at their menu, I was so excited to see that DonDon box is still available. Yay!!! Now, let’s hope it still tastes the same. Look at the amount of food you get in the DonDon box. 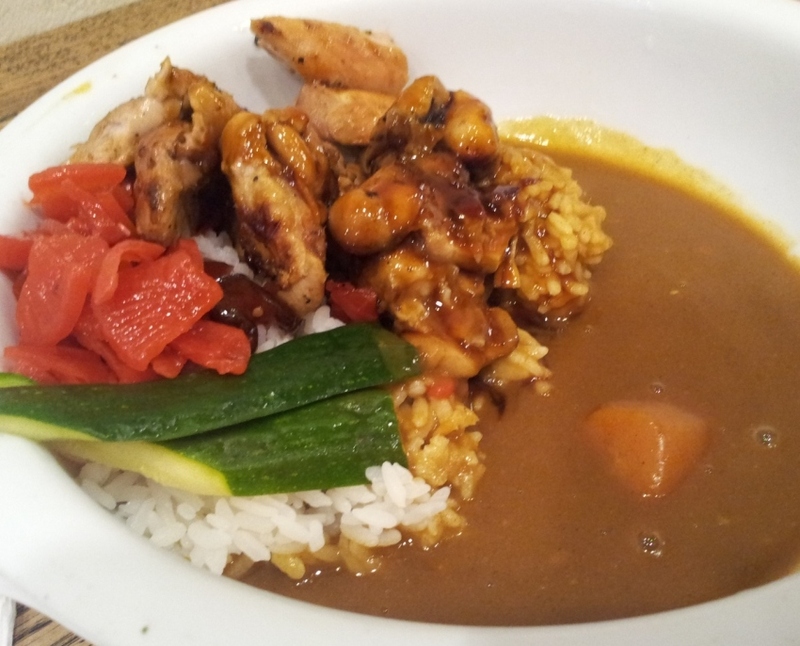 Hub got their teriyaki chicken curry rice. Which I think is ok. ME think the DonDon box is awesome. Love their sukiyaki beef. nom nom nom.. I am happy to report – it’s still the same. Definitely good value for your moolah. Yay ! DonDon – please don’t change. Arigato !! !